Comments: Anakin and Padm? fly to Geonosis to rescue Obi-Wan, who has been captured by the Separatists after following Jango Fett from Kamino. The pair land below the planet's surface and enter a huge droid factory, where they are immediately attacked by Geonosian workers. 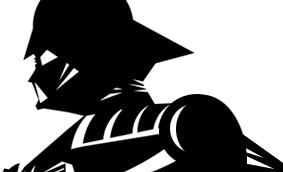 In their attempt to escape the hostile natives, they fall onto conveyor belts and frantically try to avoid being killed by the hazardous machinery. Meanwhile, C-3PO is "headed" for trouble on a droid assembly line as R2-D2 blasts into the chaos to help his endangered friends. Anakin Skywalker: Anakin receives Obi-Wan's transmission from Geonosis and watches as his Master is attacked by destroyer droids while recording the message. He flies to Geonosis to rescue Obi-Wan and immediately finds himself in the middle of danger. C-3PO: C-3PO reluctantly follows R2-D2 into the droid manufacturing facilities. The fussy protocol droid gets into trouble on an assembly line as his head is removed and placed on a batle droid, while his body is fitted with the head of a battle droid. Destroyer Droid: These powerful combat droids are armed with twin blasters and can switftly change into rolling balls of destruction. A squad of these menacing droids accompanies Jango Fett as he captures Anakin inside the battle droid foundries. Jango Fett: Jango flees to Geonosis with his son Boba after a rain-soaked battle with Obi-Wan on Kamino. He finds the homing beacon on his ship and knows that the Jedi is in pursuit. And when Obi-Wan's rescuers arrive, he's waiting to apprehend them. Watch Jango Fett in action! R2-D2: The spunky droid cannot sit idly by as events take place around him. He ventures into the droid foundries after Anakin and Padm?, followed by the protesting C-3PO. He uses his anti-grav boosters to stay clear of the dangerous machinery below. 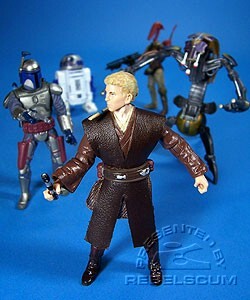 Anakin Skywalker is a repack of the figure from 2005's Evolutions: Anakin Skywalker to Darth Vader set. Destroyer Droid is a slightb repaint of 1999's EPISODE I Destroyer Droid. 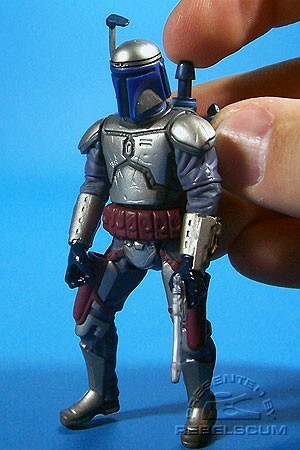 Jango Fett is a kit-bashed figure made from the head of Jango Fett (Sneak Preview) and the body of Jango Fett (Slave 1 Pilot). R2-D2 is based on 2003's SAGA R2-D2 (Droid Factory Flight). This time around, it does not come with the string inside the body.